There were several very interesting developments at the tail end of this week that I think warrant brief mention. She pointed to a message flashing on the screen. INFORMATION YOU WILL WANT TO HAVE. SAFETY FOR YOUR FAMILY GUARANTEED. “Short and completely mysterious,” Han mused, frowning a little. This is exactly the sort of marketing and fan-relations technique in which that Lucas Books and Del Rey have been so far behind, so it was a nice and welcome surprise. Previously, they had been posting some of Timothy Zahn’s annotations for the upcoming twentieth anniversary edition of Heir to the Empire, but nothing for Fate of the Jedi: Conviction or Choices of One, even though those books were scheduled to be released sooner. Hopefully it’s a good sign that they’re spreading out the teaser material to the other upcoming releases, and they’ll continue to do that in the future. But what Del Rey giveth, it can also taketh away. 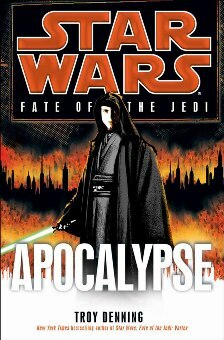 On Friday, starwars.com posted the front cover art for the final Fate of the Jedi novel, Apocalypse, scheduled for April 2012. 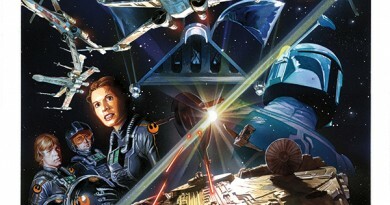 Although it’s visually interesting on its own merits, it once again features Luke Skywalker – giving Luke three of the nine covers in the series. 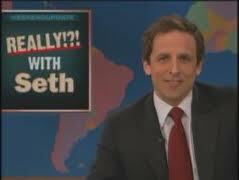 To borrow a phrase from the hilarious Seth Meyers of Saturday Night Live: Really, Del Rey? Really? With Han and Leia getting one cover each, and Luke’s son Ben also getting two covers, unfortunately the FotJ covers are giving the impression that the Star Wars universe is contracting, not expanding. Focusing on an ever-smaller number of characters isn’t the path to sales success. Even more disappointing is the way the Powers That Be have hamstrung the possibilities presented by the cover: Luke, dressed in dark robes, with a background evoking the cityscape of Coruscant in flames. Could it be the last stand of the great Luke Skywalker? Could my blog Luke Skywalker Must Die, and my guest appearance on the ForceCast, really have been that prescient? 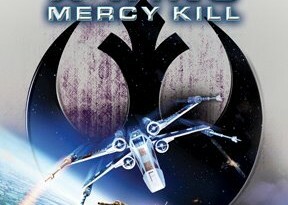 Some fans on Facebook and message boards have been suggesting that the cover might mean Luke could die in this book. Tons of fan speculation – and yes, maybe some anxiety or even dread – could have been triggered by this cover if Luke’s fate were really in doubt. Instead, in their attempt to do damage-control from the previous thirty books of overly dark-themed and death-riddled stories, they’ve undermined what could have been a moment to engage fans in caring about the characters and the story’s outcome. [Q:] Who is your favorite character, author, novel, and movie? A: I confess to being very fond of Han; I like Jaina, Ben, and Allana a lot, too. Then again, there have been a lot of things said recently that don’t jive with what we’re getting as customers. As they move forward with filling in their future book schedule, I hope Del Rey does some market research and reads the fan responses on any variety of websites. The great thing about fans is that they can whip up great alternative cover offerings relatively quickly. 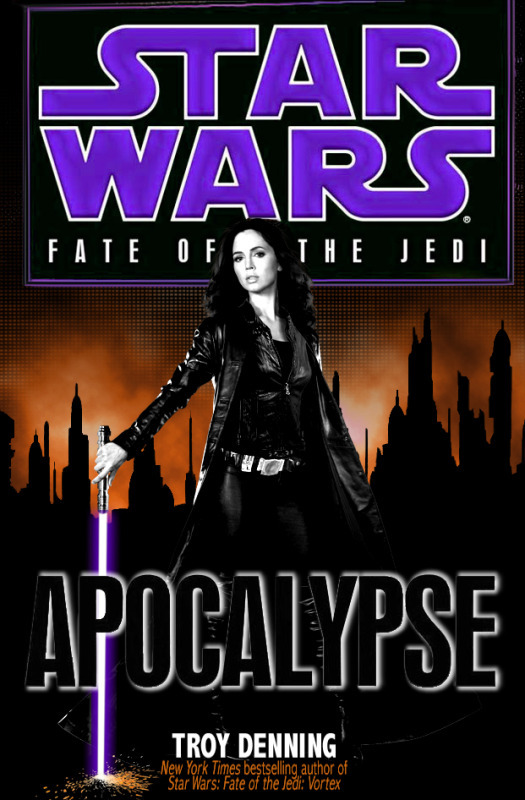 For fans of Jaina Solo – with one action cover in the past 22 offerings down the post-NJO timeline – fan artist Snow Duchess hopes even if the books aren’t making you smile, this will. Finally, also on Thursday, it was officially announced that the next official Star Wars convention, Celebration VI, will be held in Orlando, Florida, on August 23-26, 2012. Unlike previous Celebrations, this time fans have more than a year to prepare and make plans. I bet that means this convention will be one to remember. And of course FANgirl Blog will be there! Sigh. I’m failing to see how this book series is lighter and more fun than the previous. I can think of three events in the books so far that I could classify as fun for the characters involved…. probably about the same amount when it comes to fun for me to read. Yay for an excerpt though… I think. Yes, that was not one of their brightest moves, to put it mildly. p. 284 in the hardback edition. Sorry. Can you tell I’m most annoyed? -_-;; (I’m sure LominAleCantina could add on many more points… :P) You’ve articulated very well the larger-scale problems with FOTJ, but I feel that even on the level of what a moderate-quality fanfiction would be expected to uphold – pacing, spelling and grammar, characterization, and underlying plot structure, to name all I can think of right off the bat – it’s not up to par. Mr. Allston, Ms. Traviss, Ms. Golden, and Mr. Denning, do you know the character this is describing? 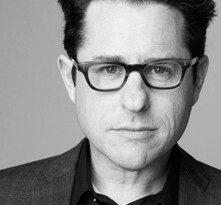 It is NOT Luke Skywalker, though you seem to have given him this role recently. Hint: NOWHERE in the above text, even in the parts that I’ve omitted for clarity, does it read “Thou shalt slay thy brother”!!! By the way, I’ve done some quick experiments, and the “iconic” FOTJ style for the photographs can be reproduced through Fuzzy Select based on saturation, Posterize at level 3 (depending on image, might be 2 or 4), and Colorize to whatever hue, saturation, and lightness you like.